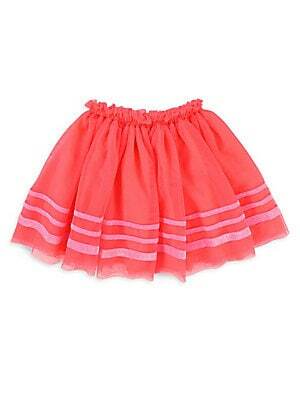 Adorable tulle skirt finished with striped detailing Elasticized waist Lined Polyester/velour Machine wash Imported. Children's Wear - Contemporary Children. Billieblush. Color: Rose. Size: 3. Comfy sweater dress with tassel and frayed detailing Roundneck Long sleeves Rib-knit cuffs, neck and hem Acrylic/wool Machine wash Imported. Children's Wear - Contemporary Children. Billieblush. Color: White. Size: 4. Essential tee with good vibes graphic detail on front Roundneck Long sleeves Pullover style Polyester Machine wash Imported. Children's Wear - Contemporary Children. Billieblush. Color: White. Size: 5. 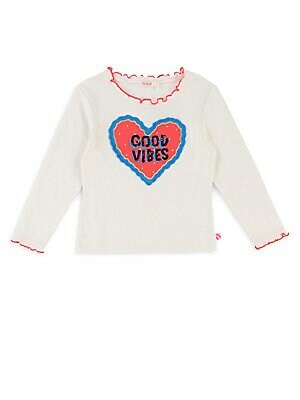 Essential tee with good vibes graphic detail on front Roundneck Long sleeves Pullover style Polyester Machine wash Imported. Children's Wear - Contemporary Children. Billieblush. Color: White. Size: 6. 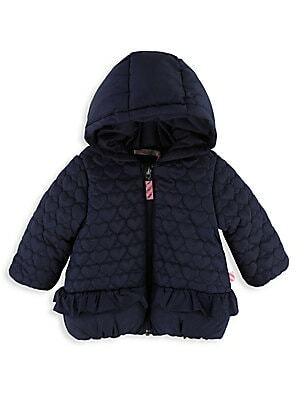 Hooded puffer jacket with quilted and ruffled detail Attached hood Long sleeves Exposed front zip Lined Polyamide Fill: Polyester Machine wash Imported. Children's Wear - Contemporary Children. Billieblush. Color: Indigo. Size: 3 Months. Party-ready velvet dress enhanced with sequin detailing. Roundneck Three-quarter sleeves Concealed back zip Cotton lining Cotton/polyester Machine wash Imported. Children's Wear - Contemporary Children. Billieblush. Color: Indigo Blue. Size: 2. Party-ready velvet dress enhanced with sequin detailing. Roundneck Three-quarter sleeves Concealed back zip Cotton lining Cotton/polyester Machine wash Imported. Children's Wear - Contemporary Children. Billieblush. Color: Indigo Blue. Size: 3. 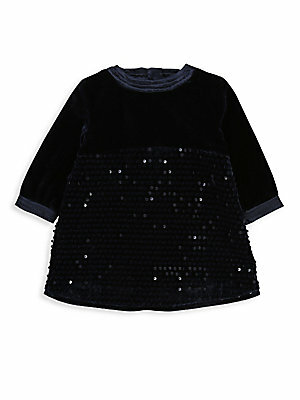 Party-ready velvet dress enhanced with sequin detailing. 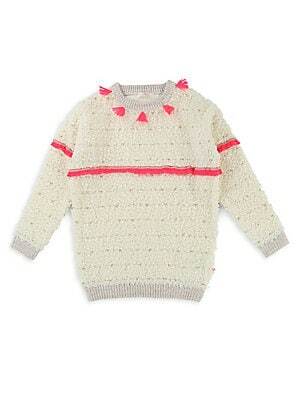 Roundneck Three-quarter sleeves Concealed back zip Cotton lining Cotton/polyester Machine wash Imported. Children's Wear - Contemporary Children. Billieblush. Color: Indigo Blue. Size: 3 Months. 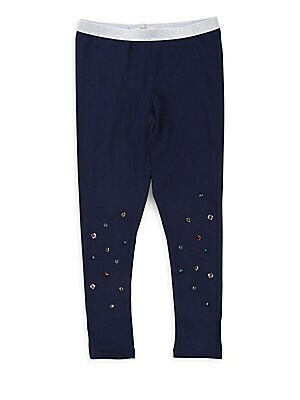 Trendsetting cotton-blend leggings with gem embellishments Elasticized waistband Pull-on style Cotton/elastane Machine wash Imported. Children's Wear - Contemporary Children. Billieblush. Color: Indigo Blue. Size: 5.